There is no faster way to get targeted traffic to your website than by using pay-per-click. Long term traffic generation methods such as SEO, Article Marketing, Video Marketing, link building, are great but pay-per-click campaigns using Adwords and MSN Adcenter can be more beneficial as you can guarantee your website a constant and near unlimited stream of traffic. The KEY is setting up your campaign to be effective which many webmasters do not have the time, resources, or knowledge to do properly. Let our pay-per-click expert do the hard work for you! Our expert has gone through intensive Google Adwords certification classes to learn exactly how to create a targeted and budget friendly campaign for you! Your campaign will be properly setup to target the keywords that are beneficial to your business to bring maximum profits while systematically eliminating negative keywords that are costing you money. We perform advanced bidding techniques to ensure you are getting the best bang for your buck out of your campaign. Our expert will work hand in hand with you to create a campaign that WORKS for your business, we work with both Adwords and MSN Adcenter/Yahoo Search Marketing. Our cost is a flat fee to setup your campaign and then after 30 days a monthly maintenance fee is assessed to have our expert to monitor and adjust your campaign. Prices are based on your overall budget for pay-per-click. bidding techniques, track your campaign, and eliminate negative keywords. 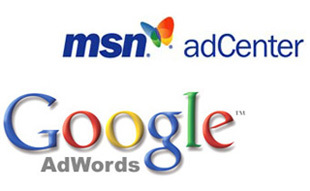 Includes setup in both Adwords and MSN Adcenter/Yahoo Search Marketing. 1-on-1 consultation with our PPC expert. Have a higher budget or custom request? Send us an inquiry today!